Boltex manufactures precision forgings to each customer’s design specifications and requirements. Boltex is committed to continuous improvement through active participation of all employees, and creating customer partnerships for long-term success. Boltex is dedicated to delivering the highest quality products and services to our customers. 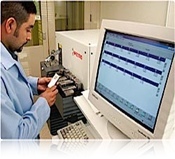 Our goal is to consistently meet or exceed our customers’ requirements for on-time delivery of defect-free product. Boltex’s in-house metallurgical and mechanical testing laboratory verifies chemical and physical properties to all national standards.